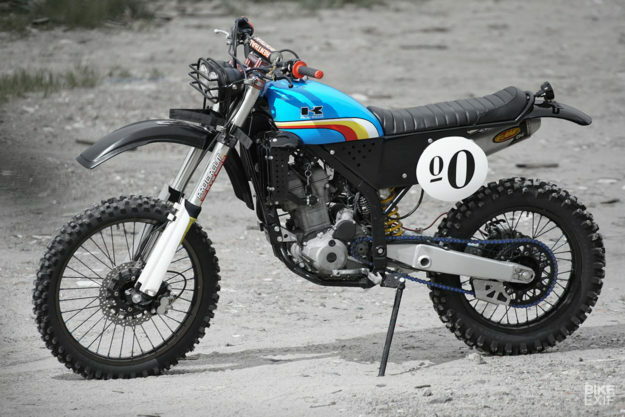 Check out this 2012 KLX250 scrambler build put together by "Knuckle WhackJob." I think it looks super clean and still very usable! Heck, If I ever break a rad shroud or side panel a build like this might be cheaper than buying oem replacement plastics! That is way cool! Maybe a 19" front wheel and dirt track tires??? Would taking the air scoops off effect the cooling significantly? I love that tank and the entire front end. It looks like a sleepy wasp.